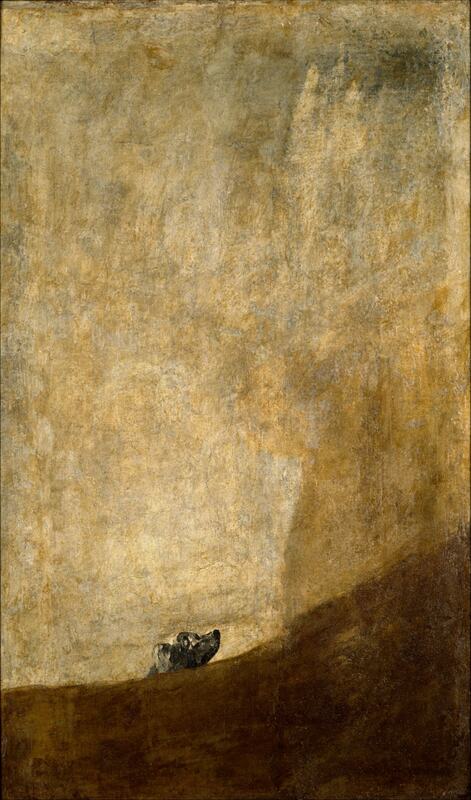 Goya depicts a dog out of his depth, struggling and failing to save its own life. The huge stark volume of space above the poor animals head heightens the sense of its inevitable downfall. The artist, after an illness which left him deaf, painted it directly onto the wall of his house in Madrid, suggesting that this is a proverbial image reflecting his own demise. Even with the knowledge of the paintings sad subject matter, it makes for a very beautiful and powerful print.